A NOTE ON FEEDS - Parts of this article use java to manage the display of page elements and images and these may not render correctly or even at all if you are viewing this via a feed. If you experience issues or are missing page elements or images you can access the original article here. ... empties and builds the world's largest eco-friendly GreenStone Building." 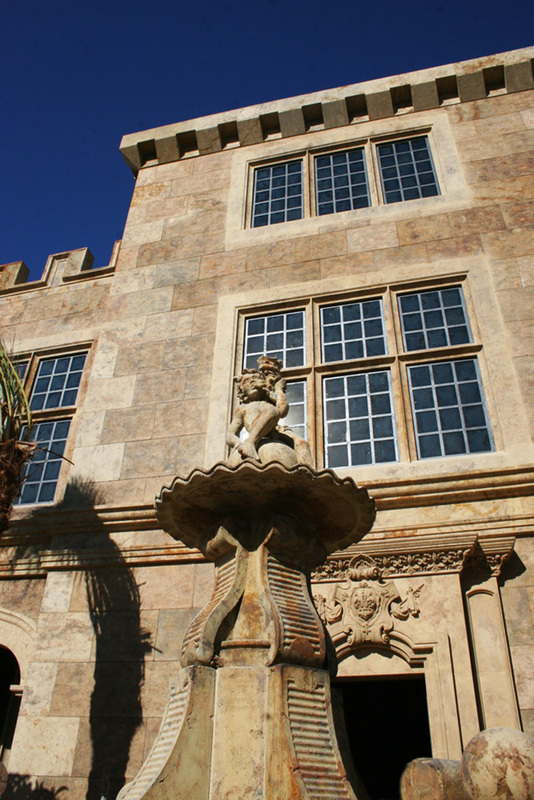 Realm of Design's founder, Scott McCombs, worked for many years on developing and perfecting green architectural stone (aka "GreenStone"), which is made from 100% recycled glass aggregate and 99.8% renewable materials from Fly Ash. Partnering with a Las Vegas recycling company, Realm of Design obtains and recycles beer bottles that come from Las Vegas Strip hotels. Since glass takes 4000 years to decompose and is piling up in landfills, Realm of Design is proud to be a company that is helping to provide a resource and energy efficient product that helps close the glass-recycling loop and save landfill space. Realm of Design were actually their own first client to build with their GreenStone. 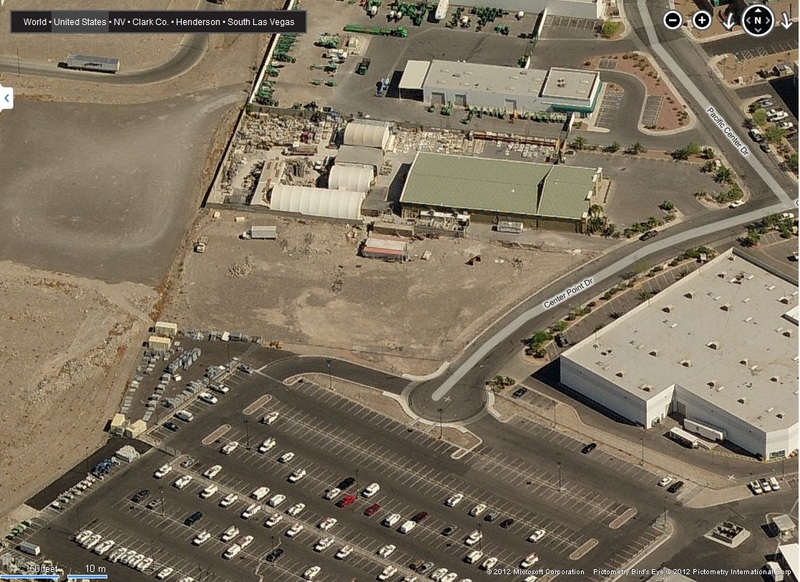 The company recently completed construction on its new 30,000 sq ft manufacturing facility. 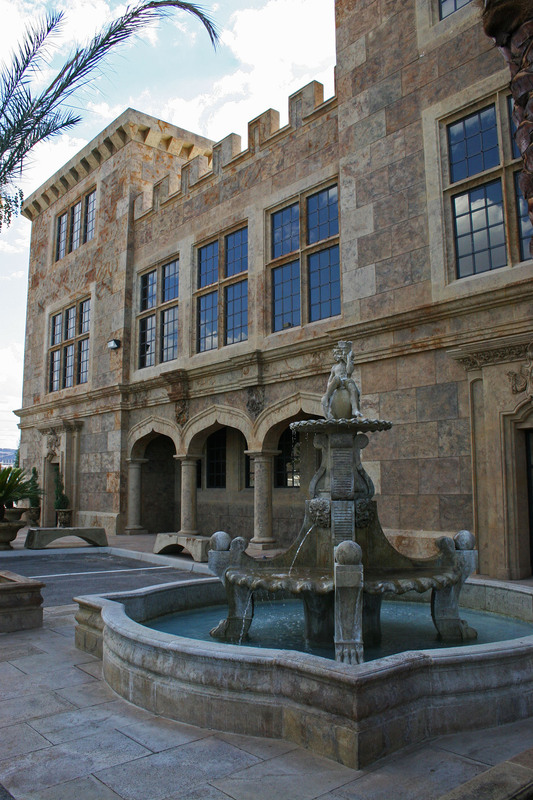 The Building, properly named the Morrow Royal Pavilion, is adjacent to Realm of Design's existing showroom located in Henderson, Nevada. Construction of the building utilized more than 500,000 beer bottles (around a single weekend of drinking on the Strip) which amounted to over 290,000 pounds of recycled glass for the exterior building façade. This saved over 400,000 CU yds of landfill space which is equivalent to filling 8 football fields piled to the top of the goalposts. The design of the Morrow Royal Pavilion was inspired by the Swarkestone Hall Pavilion in England - the location of one of The Rolling Stones most famous photo shoots. 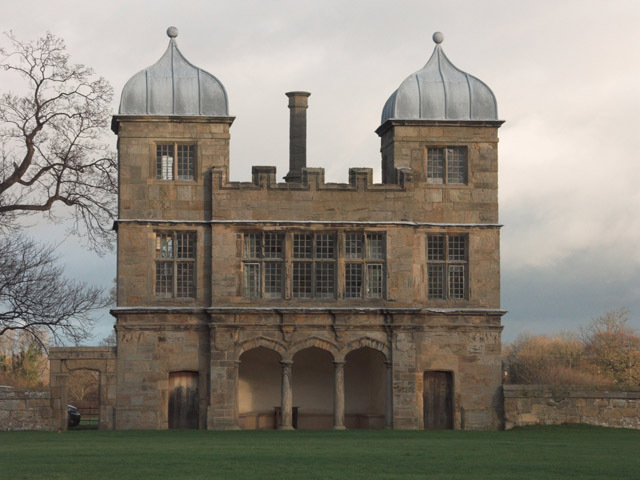 Check out the tabs below for a photo of Swarkestone Hall Pavilion; though the shape of the building is very different there is no doubt about the similarities and it is clear the architects of the Morrow Royal Pavilion were indeed inspired by Swarkestone [check out the arches, windows and crenellations among other features]. Given the Rolling Stones association with Swarkestone Realm of Design has even launched a Facebook campaign to encourage the legendary rockers to visit the building. 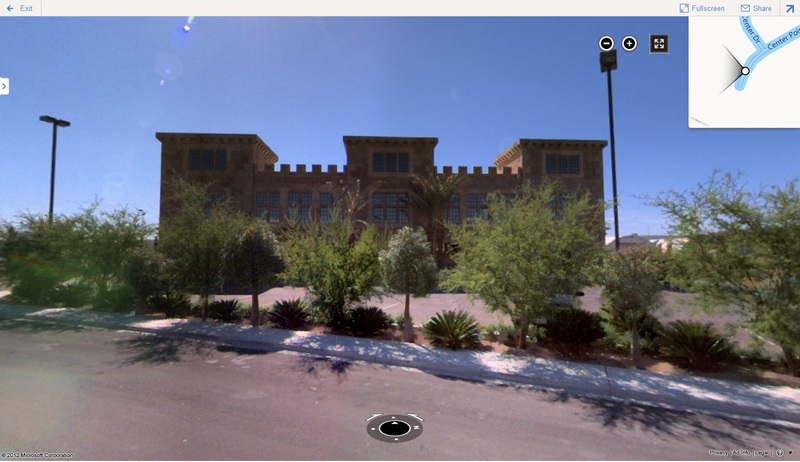 With the construction of the building being so recent imagery in Google Maps and Bing Maps is a little inconsistent. Check out the maps tab below for screenshots and links. 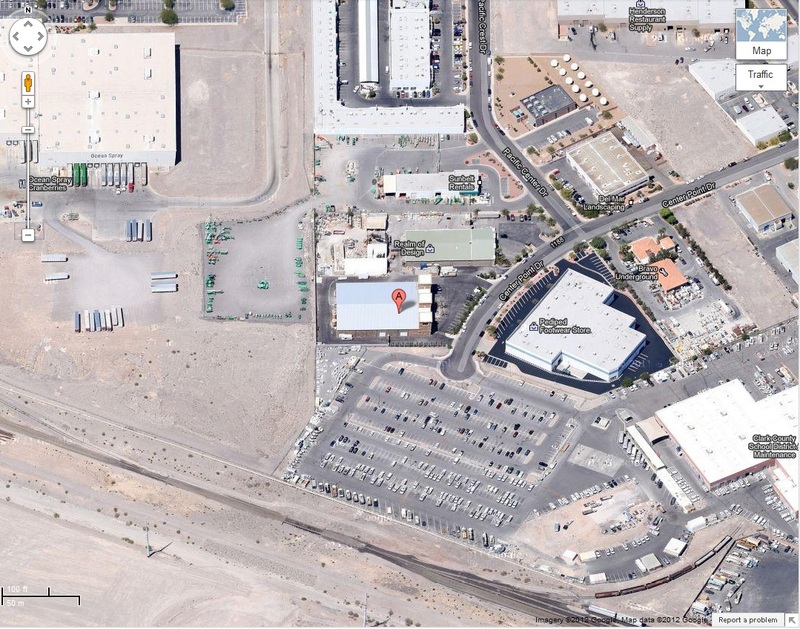 Google Maps shows the pavilion in its satellite imagery [top] but it is missing in "Street View"; in Bing Maps we find that the pavilion is present in "Aerial View" and "Street View" [center] but not in "Bird's Eye View" [bottom]. I for one applaud McCombs and Realm of Design for their ingenuity and commitment to building in an eco-friendly manner. I try to recycle and I understand the need though I have to admit I am not as committed to it as I probably should be and I could most definitely do a better job of it. My guess is I am not alone in that and perhaps an example on the scale of this one might just spur some of us on to increase our own more modest efforts. Is this technology available for consumer purchase for the purpose of home building? I actually have no idea but I am sure if you contacted Realm Of Design they would be able to answer your question.